A General Plan is a local government’s long-term blueprint for the community’s vision of growth. 1 The California Supreme Court has eloquently described it as a “constitution for future development.” Each city and county in California is legally required to prepare a comprehensive, long-term General Plan to guide its future (SGC §65300). Most importantly, many or all other potential city planning actions (including subdivisions, capital improvements, development agreements, zoning and specific plans, and many other land use actions) must be consistent with the adopted General Plan. 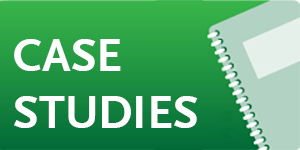 This legal requirement for consistency results in added importance in developing the land use designations in order to set the right tone for all future related planning efforts. The land use designations in a General Plan describe how future land use and public/private investment should be shaped over the next 20 to 30 years. Where should it be focused? What are the community’s goals? The designations in a city’s General Plan also establish the character and scale of development that is allowed in key areas. For many cities, new housing and jobs must come from redevelopment, infill, densification, or adaptive building reuse. The designations in a General Plan have a vital role to play in governing how these growing populations are housed, employed, and serviced. To promote transit-supportive places, cities can tailor their designations around transit stations to allow, encourage, or require the appropriate, transit-supportive types of uses and range of densities. Typically, land use designations near transit should allow compact densities, a mix of uses, reduced parking standards, and urban design that supports walkability and transit use. The scale of allowed development will vary within the region, with higher intensities located in downtowns and urbanized areas, and lower intensities in suburban or industrial contexts. Establish the concept of greater density or floor area ratio (FAR) generally within one-quarter or one-half mile of transit stations. Research has shown that the minimum intensity needed to support transit is approximately 12 dwelling units per acre and/or a floor area ratio of 0.75. 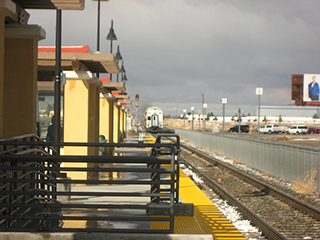 Land use designations specifically related to integrating transit and land use, such as Transit Villages, also serve to demonstrate a City’s commitment to development that is designed and oriented towards transit. Additionally, developing a General Plan can generate community support for a vision of transit-supportive places. Going through the public process to settle on new designations (with the proper allowable densities) can help address neighborhood concerns around new, higher scale development. Creating community consensus is a valuable outcome of any General Plan visioning process. Increased development near transit stations. Active, walkable mixed-use station area. Greater diversity of housing types, including affordable and mixed-income. The City’s General Plan has a special designation for the neighborhood surrounding a future light rail station: Bergamot Transit Village . With the goal of transforming the industrial area into a thriving transit-supportive district, the land use designation establishes a clear vision for the station area – in this case, a new mixed-use “village” that will attract creative arts uses along with a variety of housing types, entertainment and office uses and local-serving retail to establish a vital, new complete neighborhood. Within that vision statement, the City defines the types of allowed uses and preferred ground floor character that they expect from new development around the station. The General Plan also has specific regulations that aim to maximize the likelihood of a successful transit-oriented neighborhood, including building height guidelines (along with accompanying graphical illustrations) and various FAR bonus tiers that are tied to the provision of community benefits. 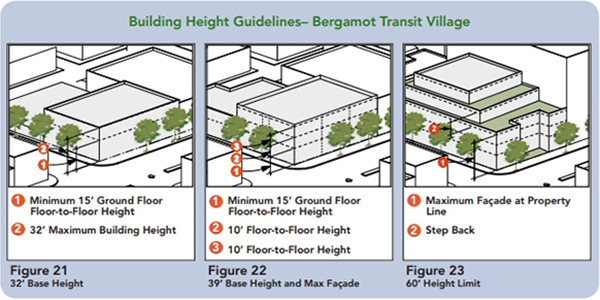 The base height in the Bergamot Transit Village District is 32 feet/2 stories with a 1.75 FAR, but this can be increased significantly with bonuses (up to 75 feet and 3.5 FAR). Statements in the designation description such as “new development incorporates human-scale elements, enhances the pedestrian environment, and is built to the sidewalk with minimal setback” translate to clear requirements that create a walkable and transit-oriented district. Focus New Development on Transit Corridors. Adding development near existing and expanded future transit service will help to reduce the overall number of driving trips as public transit becomes a more viable transportation option. Create the Firestone Retail and Entertainment Corridor . To complement nearby transit nodes, the City must support and require new streetscape improvements, gateway treatments and other beautification activities along Firestone Boulevard. Sidewalks will be designed to comfortably handle the anticipated pedestrian volumes. Surface parking is strongly discouraged. Buildings will be placed to support walkability. Mixed use buildings shall be designed to create attractive and vibrant districts. This area should be designed to support a high-level of pedestrian activity. The uses, designs and densities will support transit use. Requiring new development to create pedestrian connections to surrounding areas. See more Pages 73 and 107-108. The City of Burbank’s General Plan identifies special areas that are designated as “transit centers” and “transit corridors,” where multiple bus routes intersect. Policies in these areas encourage density, provide reduced parking incentives, encourage better land use connections to walking and biking networks, and offer transit as potential mitigation for traffic impacts from new development. By promoting transit‐oriented design standards, the City wants new development to locate within walking distance of transit. There are multiple land use designations that support transit-supportive districts and places. In particular, the Downtown Commercial designation is correlated with a major transit center. Since Downtown is a community center with high levels of transit access, it is appropriate for Downtown to have a higher allowable intensity of development than other areas of the community – a maximum of 2.5 FAR, and 87 units per acre with discretionary approval. 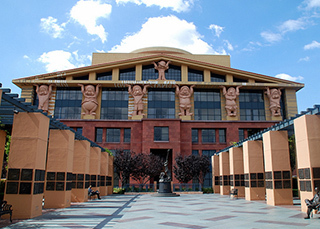 Supplemental goals and policies for this area are found in the Burbank Center Plan, a detailed plan that regulates new development in the urban center. Palmdale’s General Plan includes a land use designation for Transit Village, an area of about 100 acres in the Downtown adjacent to the Metrolink Station. The Transit Village allows much denser residential development than is permitted in the rest of Palmdale. Adopting this designation was an important step for the Palmdale community as there is a need for more dense multifamily housing in a pedestrian environment that cannot be built under current standards. In 2007, the City adopted a Specific Plan for the area, which refined the allowable densities and other development standards (the Plan is currently being updated in 2016 to reflect the impact of the future high-speed rail station on the Downtown area). The Transit Village designation is divided into neighborhoods and use types are allocated by neighborhood rather than zoning. The three types of permitted residential development are single-family, multifamily, and mixed use. The table on page H-121, Transit Village Development Standards, illustrates how density should be scaled around a transit station, and suggests the appropriate density range and character for the existing urban context in Palmdale. Building Height 60 ft. 45 ft. 60 ft. 36 ft. 45 ft. 45 ft. 45 ft. 36 ft. 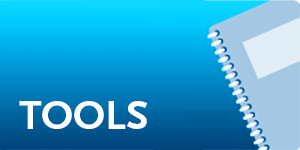 Setbacks N/A 0-8 ft. 0-12 ft. 8-18 ft. 0-8 ft. N/A 8 to 18 ft. 8 to 18 ft. Setback amenities Porches, pergolas arcades and other amenities may be built within the front setback. Min. Lot Area Single-family 5,000 sf; multifamily 20,0000 sf. These development standards were adopted into the General Plan. The area surrounding the future transit village was physically divided into nine Neighborhood Zones (A through I), as shown in the figure. Different standards for allowed use, residential density, setbacks, and other criteria apply within each respective zone. Los Angeles General Plan Framework. Where appropriate, two units per lot (R2) maybe considered within 750 feet of major bus corridors.